Quantum dot technology is helping LED LCD TVs deliver richer, broader color spectrums. Almost as rich as OLED TVs. Editor's note: This story has been updated for accuracy and to add new information. The word quantum grabs most people’s attention. Largely because of its association with quantum mechanics, the awesome and extremely difficult-to-understand study of all things very small and the way they behave. Quantum dots are crystal semiconductors measuring just a few nanometers in width. Hit these nanocrystals with light, and they emit colored light in strict correlation to their size. Since this discussion is related to using quantum dots in TVs, you might think the nanotech is replacing the LCDs and OLEDs used to generate color on today’s flat panels. Nope. Someday maybe, but for the moment they are being employed solely as LED backlight re-emitters. Look carefully and critically at an LED-backlit LCD TV (often referred to as an LED TV), and you’ll notice that the picture looks a bit cool, perhaps even washed out. It’s difficult to do in the absence of something better to compare, so you’ll have to trust me on this one. The reason for this phenomena (the coolness, not the trust-me factor) is that the light today’s TV LEDs produce is heavily accented at the blue end of the spectrum. Blue, as in icy and cold. LED backlighting remains popular partially largely because it’s more energy efficient overall than the preceding CCFL (cold cathode fluorescent lamp) backlight technology. On higher-end TVs, multiple LEDs can be spread across the entire panel and switched on and off individually (a feature known as local dimming), enabling the TV to produce darker darks. LED backlights are also much smaller than CCFLs, enabling the ultra-thin profiles that are in vogue today. Thin is in—and it’s likely to stay so. If color gamut is a concern, you can always buy an OLED TV with its super rich colors and deep blacks. But the prices for OLED start at $2000 for 1080p resolution and only get absurd from there. With UHD (2160p, or 3820 by 2160 resolution, opportunistically marketed as 4K) LCD TVs starting at $600 for 43-inch class units, getting consumers to pay several times that for an OLED TV is tough—superior image or not. And to be perfectly honest, even without quantum dots, an LED/LCD TV offers a pretty nice picture. So here comes the easily producible quantum dot, which seems to be just about the ideal solution for improving the color gamut of the everyday LED/LCD TV and low-balling OLED out of existence. Just that harsh LED light with richly-radiating quantum dots and voila! Alas, quantum dots seem to be showing up only in pricier TV models. Vendors want to steal some market share from OLED at the top-end rather than improve the color spaces and accuracy of their entire range. At least that was the case as this article published—just about a month before the vast majority of 2016 models are announced. Case in point: the misleadingly named, high-end Samsung SUHD. You might think SUHD is a new resolution that’s greater than UHD. It’s not, it’s just a marketing term for the addition of quantum dot filtering and some tweaking. I say just, but Samsung’s SUHD models deliver noticeably richer and more accurate color reproduction compared to its less-expensive TVs. TVs that use quantum dots come very close or surpass OLED on every score except black. Quantum dot technology works. The mission for quantum-dot technology: Produce TVs that deliver a better picture than OLED models. Alas, one reason that quantum dots had been ignored for so long (they’re been around for decades) is that they were largely produced from cadmium—a somewhat toxic element that’s on the hit list of just about every environmental agency you’d care to name. The European Union’s RoHS (Restriction of the use of certain Hazardous Substances) severely limits the use of cadmium, with an exemption for light-producing products (that restriction is currently under review). Several groups have come up with solutions. Researchers at Oregon State University have found a way to use the less-toxic copper indium diselenide, which they say they’ve used to economically produce quantum dots. There’s also a company called Nanoco touting CF (Cadmium-free) quantum dots. 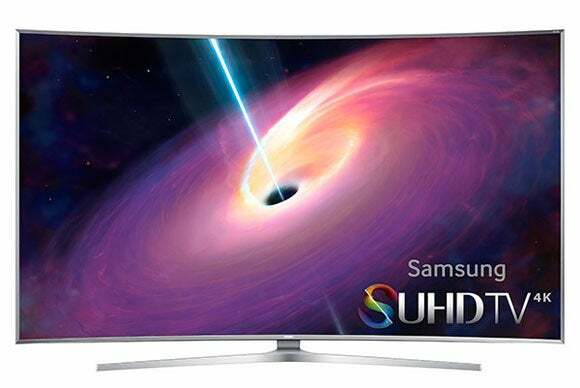 And Samsung’s SUHD series TVs use Indium/ Phosphorus quantum dots produced by Nanosys, Inc., so you can already be quantum rich and guilt-free (at least about Cadmium). Quantum dots have applications beyond TVs, including deployments in computer monitors. After all, the most significant difference between a computer display and a TV is the absence of a TV tuner. And for anyone who uses a computer to edit photographs or to publish color documents, such as print magazines, color gamut and accuracy are key. Because of the narrow spectrums of red, green, and blue that quantum dots produce, the colors mixed from them are far more accurate, and hence more discernable. Philips just announced a quantum dot 27-inch display that it says delivers 99 percent of the Adobe RGB color space. The average flat-panel computer display doesn’t come anywhere near that. Quantum dots could one day be used to manufacture windows that convert sunlight to electricity. Scientists from the Berkeley Lab and University of Illinois have used quantum dots to fabricate photovoltaic cells that are up to 30 times more efficient than today’s technology can deliver. Basically, if I read it correctly, light is gathered and concentrated, then steered to a quantum dot which focuses it directly into the solar cell. You can find the research here. There’s even talk of using the technology to turn ordinary windows into solar panels. 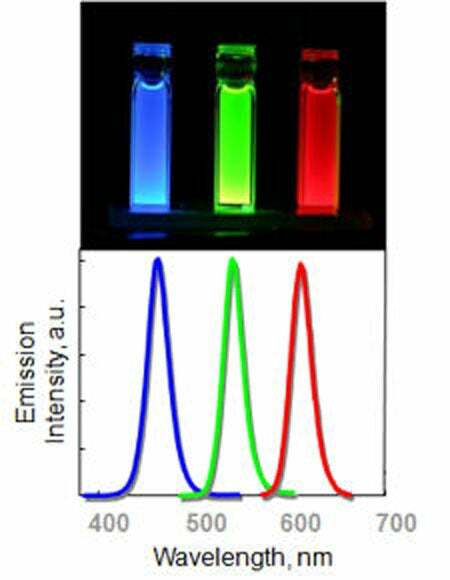 So should you be looking for quantum dots in your next LED/LCD TV? Yes, if you have money to upgrade, but not UHD-OLED kind of money. Even if money’s not a concern, the two technologies bear close comparison as LED/QD can produce a lot more NITs (brightness). Those of us in the working class should probably stick with the older 1080p TV for a year or two until quantum dots are pervasive, or some other unexpected whiz-bang solution has rendered the existing technologies moot.